At Prosper Family Dentistry we are proud to offer our in-house iCAT Cone Beam 3D Dental Imaging System, which allows Prosper Family Dentistry’s doctors to provide quick, comfortable, safe and effective dental imaging for the most precise dental health diagnosis possible. One, 20-second scan typically provides enough data for a complete diagnosis. A safer diagnosis with less radiation than traditional CT scanners. Increased comfort – patients are seated in an open environment with plenty of space. A more cost effective imaging system. Doctors can easily share the data with patients, so that patients stay informed and are able to make educated decisions on their course of treatment. 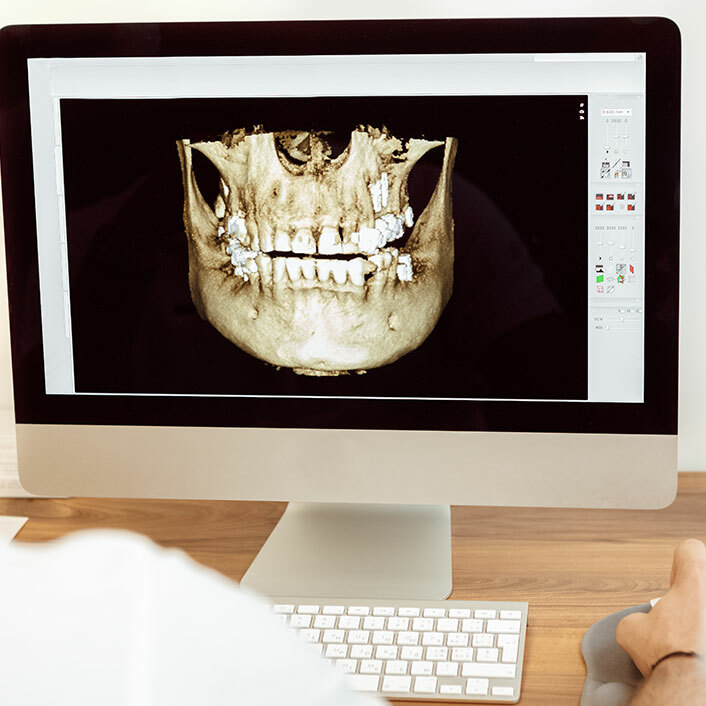 Prosper Family Dentistry is pleased to offer iCAT 3D imaging for patients receiving dental treatment. We will typically provide an initial scan for new patients to review their current dental health and to maintain as a baseline to compare against future scans. Then we provide routine rescans typically every 5 years or as needed if a patient has an immediate dental issue where a new scan is needed for diagnosis.